Eyecon allows you to enjoy 5 reels and 25 paylines on Kitty Payout slot! This online slot machine is themed on cute kitty cats that will surely enhance your mood while you’re at play. Come across various cats while you’re playing and they will surely bring you tons of luck. Symbols you will find on your slot grid are: yarn balls, chains, toy mice, paw stamps, milk bowls, tuna cans, cuddly kitties, A, K, Q, J, 10 and 9. On launching the game, set your bet value on the Bet/Line Field. This field also allows you to set the number of paylines you would like to place your bets on. Click on the up or down arrow to set your stakes and paylines. Also, use the Autoplay feature to set the game to auto, by playing a chosen number of spins. Coin Values: Set your bets from the minimum of £0.01 to the maximum of £50.00. The milk bowl is the Wild Symbol, which replaces for all other symbols bar the scatter symbol. The scatter symbol is the kitty, which triggers the bonus round of the game. Land 3, 4 or 5 scatter symbols anywhere on the reels and receive 15, 20 or 25 free spins to enjoy. 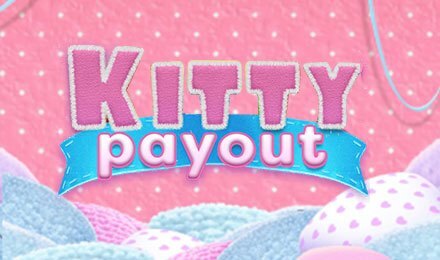 Enjoy Kitty Payout slot at Moon Games Casino and enjoy the possible riches you can gather from it! Launch on devices like smartphones, PC’s or tablets.